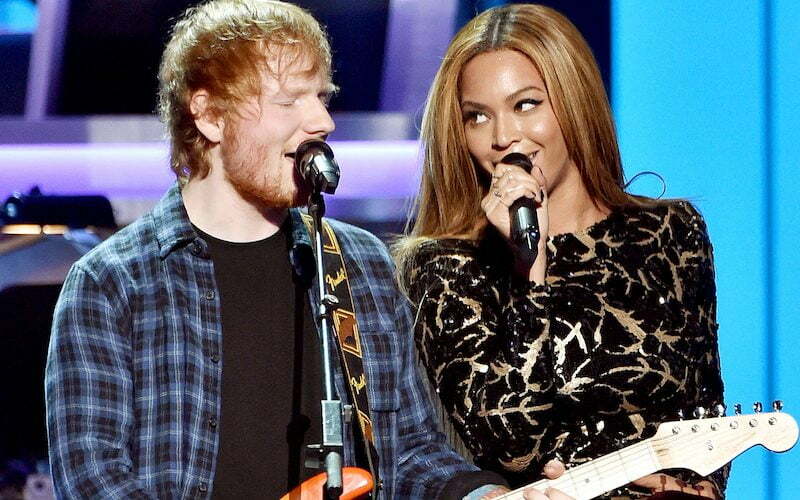 Beyonce graced us with another collaboration this time with Ed Sheeran. Queen Bey recently collaborated with J Balvin on “Mi Gente” and with Eminem on “Walk On Water.” Now teams up with Ed Sheeran on the new single “Perfect Duet.” Beyonce shows off her iconic vocals over an acoustic beat. “Well, I found a man stronger than anyone I know / He shares my dreams / I hope that someday we’ll share our home / I found a love to carry more than just my secrets / To carry love, to carry children of our own,” she sings. JAY-Z announced this week that he and Beyonce are working on a joint album together and hearing this song just make you want that project now more than ever. The R&B diva and Ed Sheeran are no strangers to combining their vocals. The two previously sing together for a 2015 Stevie Wonder tribute and that same year the performed a “Drunk In Love” duet at the Global Citizen Festival. The single “Perfect Duet” is featured on Ed Sheeran’s project ÷, a song that he says is better than the biggest single of his career, “Thinking Out Loud.” “Perfect Duet” is currently available on Spotify, take a listen below.